Torquay United have signed former Scunthorpe midfielder Ian Morris on a two-year deal. 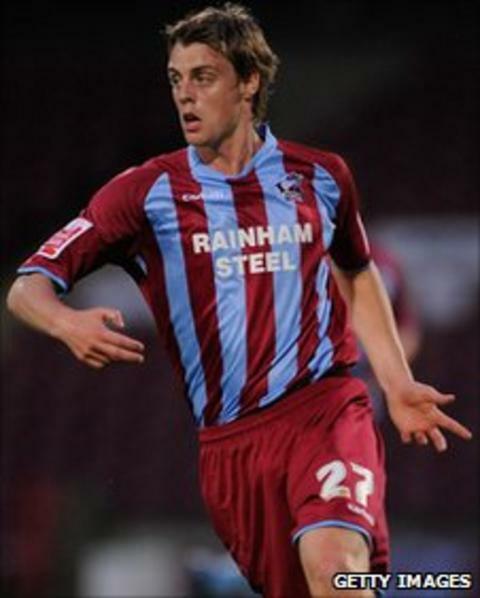 The 24-year-old left-sided Irishman was released by Scunthorpe this summer after almost five years at the Glanford Park club. "He is the missing piece of the jigsaw that I've been talking about all the way through," Gulls boss Martin Ling told the club website. Morris made more than 90 appearances for The Iron, scoring eight goals. However, he found himself increasingly out of favour, spending much of the past two seasons on loan. He was at Chesterfield for all of last season, as well as most of the 2009/10 season, making 27 appearances and scoring one goal. Ling added: "He's a left-footed player who is happy playing out wide. We've got good wide players here but we do need a left-sided player. Ling said he was relieved to beat other clubs to the Irishman's signature: "When I saw his name on the available list, I was immediately hoping we had enough money to do the deal. "We had to act quickly because he's been on trial with Hereford, and scored two goals as well, so we're very happy." Morris began his career as a trainee at Leeds United and has also spent time on loan at Blackpool and Carlisle United.